This book reveals many wonderful spirituals truths behind the names of the believers in Christ. What is more fascinating, thrilling and exciting is that believers also have many wonderful names. It is really amazing to think that many of the names of believers are identical to Christ’s names. They speak of believers’ status, nature and attributes on this earth and their wonderful heritages in heaven. I have painstakingly made a fresh headway to compile at least 115 names of believers in this book in alphabetical order. These names are drawn from symbols, types, simile and metaphors etc. These names are pregnant with spiritual meanings or spiritual truths. In fact, some are not exactly names but written in adjective forms declaring the spiritual nature of the believers, viz., Holy, Pure, and Perfect etc. Jesus has also promised to give us a new name (Rev 2:17), which bespeaks of our new nature and position in heaven. We have become the partakers of heavenly things (Rev 8:17). These names are like precious jewels which carry the distinctive character of a believer and his Christ likeness. They are like different facets of glory. A diligent search of the scripture will reveal that the believers in Christ have a special identity with Christ- an identity, which bears distinctive marks of righteousness and their relationship to their creator. The search itself is an exhilarating one and at the same time full of blessings. 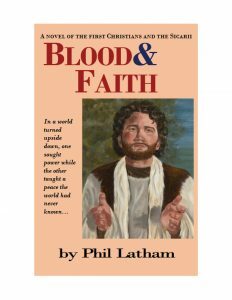 This Book reveals many wonderful spiritual truths behind the names of the believers in Christ in the Bible. That’s amazing. It is really very fascinating, thrilling and exciting to know that like Christ, believers also have many wonderful names. It is really amazing to think that many of the names of believers are identical to Christ’s names. They speak of believers’ status, nature and attributes on this earth and their wonderful heritages in heaven. The author has painstakingly made a fresh headway to compile at least 115 names of believers in this book in alphabetical order. These names are drawn from symbols, types, simile and metaphors etc. These names are pregnant with spiritual meanings or spiritual truths. Jesus has also promised to give us a new name (Rev 2:17), which bespeaks of our new nature and position in heaven. We have become the partakers of heavenly things (Rev 8:17). These names are like precious jewels which carry the distinctive character of a believer and his Christ likeness. They are like different facets of glory. A diligent search of the scripture will reveal that the believers in Christ have a special identity with Christ—an identity, which bears distinctive marks of righteousness and their relationship to their creator. The search itself is an exhilarating one and at the same time full of blessings. This book is highly profitable for spiritual growth and extraordinary spiritual insights rich in valuable biblical resources. 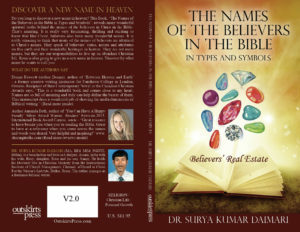 “This book has been a great work by Dr. Surya Kumar Daimari. The uniqueness of Dr. Daimari’s brilliance has been his ability to encapsulate such a vast subject in concise and in a reader-friendly manner. Dr. Daimari has done an extensive research in consolidating and compiling the biblical names. ………….I recommend this book as highly valuable book with extraordinary spiritual spiritual insights. It is a must read for every believer in Christ Jesus. Jesus Christ is the very image of God (Col 1:15). As God, Jesus has also many wonderful names. Frances Derk in his book, “The Names of Christ “ # has compiled at least 272 names of Christ found in the Bible. These names in types and symbols speak of His nature and deity, His authority and power, His beauty and glory. They are the manifestations of His divine person that “He was, is and is to come.” Rev 1:8 In the names of Jesus, we have seen a fulfillment of the O.T. prophecies. Also, in the names of Jesus, we have seen God revealed in all His glory and majesty. What is more fascinating, thrilling and exciting is that believers also have many wonderful names. It is really amazing to think that many of the names of believers are identical to Christ’s names. They speak of believers status, nature and attributes on this earth and their wonderful heritages in heaven. This is what fascinated me most to write this book.